When your brows need tidying up between or under the eye brow. If you have over plucked in the past, or are just craving a perfectly defined arch like the celebrities then we have the answer! Define your eye brows! Taking your face shape and natural arch into consideration we aim to correct any past mistakes! Using plucking waxing and trimming techniques above and below and in between the natural eye brow. For the perfect defined eye brow. Relax and enjoy a scalp massage while hair is pre-treated and tinted giving you a longer lasting defined look. Let us create the perfect brow! 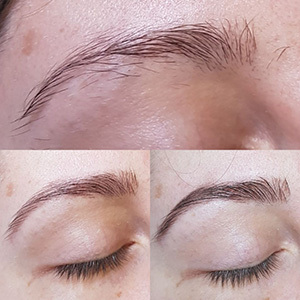 This treatment includes precision shaping where we wax, pluck and trim your brows into the perfect shape and apply tint to define the colour before applying the Brow by Mii make up to fill in any gaps helping you to create the perfect brow. 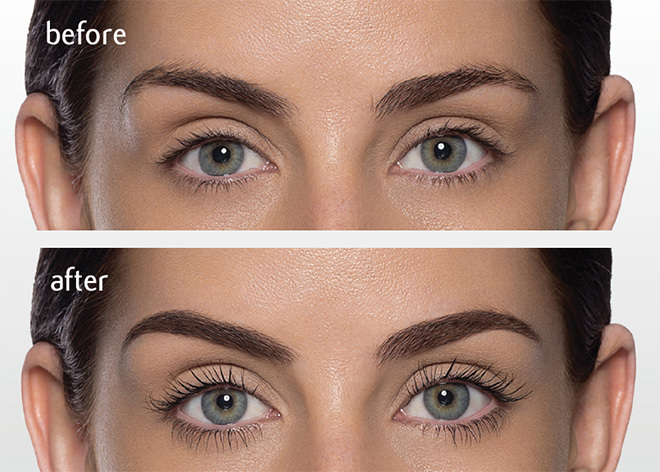 Lifts and defines your natural lashes, giving you a hassle free alternative to lash extension that lasts up to 6 weeks! Eyelash extensions are individual false eyelashes that are applied to the natural eyelashes. They literally extend existing eyelashes in both length and thickness to give a fantastic new look. They will enhance the appearance beyond expectations because eyes will look bigger, wider and brighter. With ilash designer eyelash extensions the options are never ending and the results are amazing because we can create every type of look from the very natural to the very glamourous. A patch test is required 24 hours prior to an eye lash tint or lash extensions.